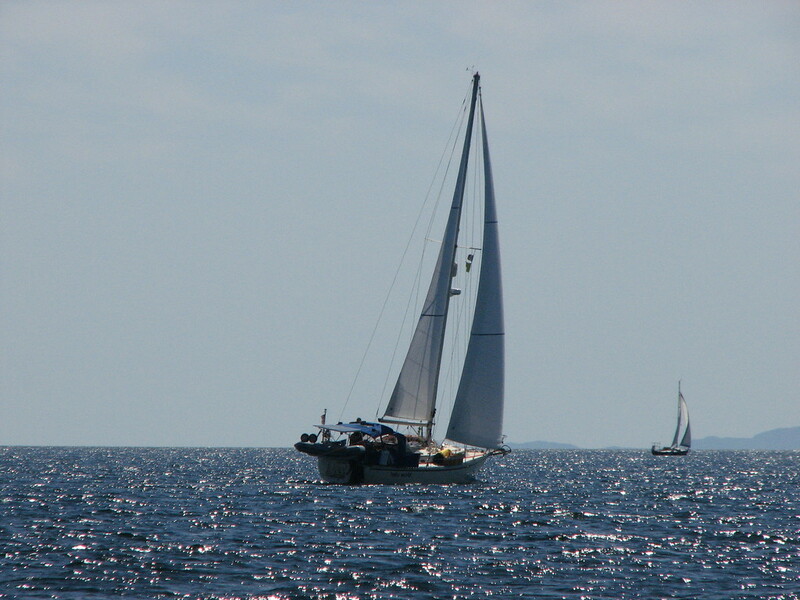 After our time in Shoal Harbour, we were ready for an improvement. Hello, Waddington Bay. 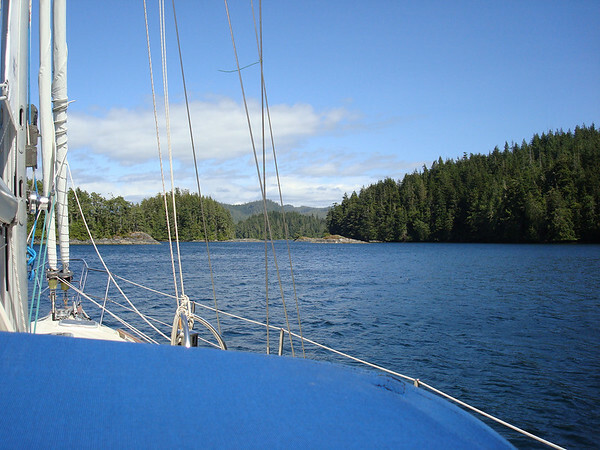 This is another typical Broughton anchorage that requires picking your way through rocky forested islands, islets and reefs to enter a fantastic private cove with forested shores and bald eagles fishing for breakfast. Waddington Bay does get some wind through it in a westerly (correctly predicted by our guide book this time). 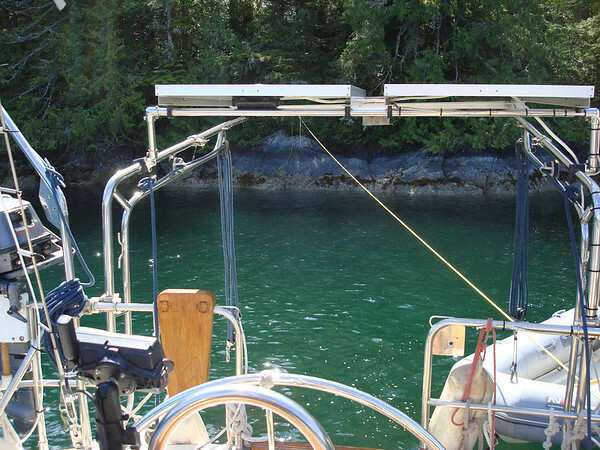 There's an island smack in the middle of the anchorage so we anchored off the eastern shore of the island and then used a stern tie to tuck our boat right up into the lee of the island. We were pretty happy with this strategy as we watched whitecaps rolling through the rest of the anchorage. The other boats in the anchorage got blown around quite a bit while we only got the occasional gust. We decided to lay over in Waddington Bay as there was much to explore by kayak. We kayaked around inside the anchorage looking for rumoured trails but never found them. It's just as well because Bonwick Island is supposed to be lousy with black bears. We watched four bald eagles in what looked like a full on street fight. They would all scream at each other, then two fly at each other talons out and duke it out a bit then fly off and scream some more. Pretty impressive birds when they're angry. We're getting better at this stern tie thing.